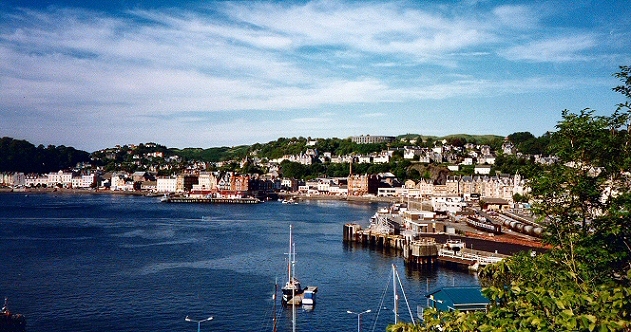 Description: This view of Oban shows the harbour, McCaig's Tower up on the hill and the railway station. 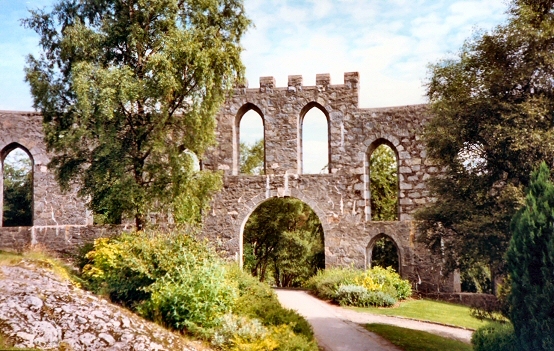 Description: McCaig's Tower (or folly) was built in 1897 as a job creation scheme organised by the local banker to aid unemployment in the town. 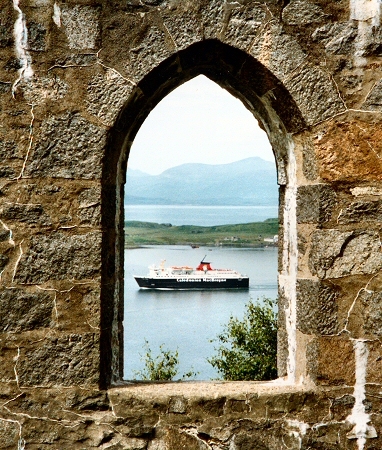 Description: There are fine views from McCaig's Tower including this view of the Isle of Mull ferry returning to port. 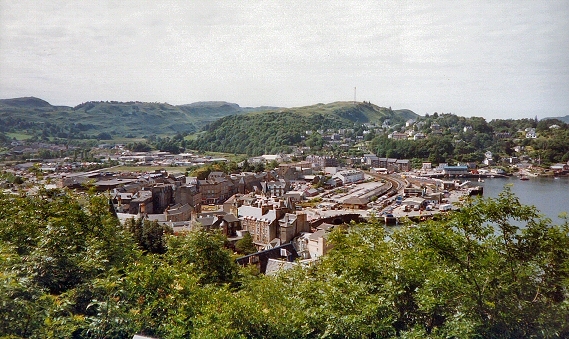 Description: This view of Oban, looking south from McCaig's Tower, shows the railway station and harbour area. 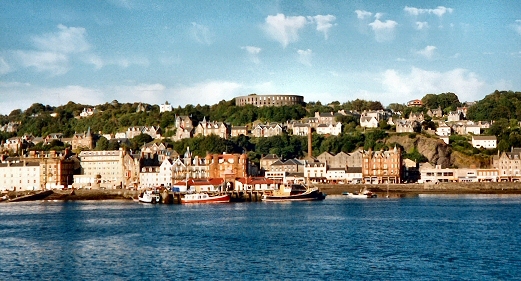 Description: This is the classic view of Oban, from a ship in the bay. 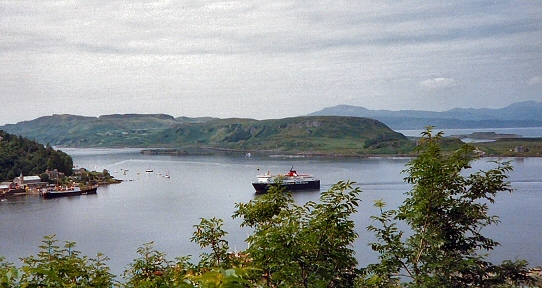 Description: The Mull ferry arrives at Oban.